Bring a little fun to your everyday jewelry accessories with a pair of beautiful and stylish earrings. Jewelry is always a welcome gift for a special birthday. Containing at least 92.5% pure silver, sterling silver is a versatile and malleable metal that can take on a variety of attractive finishes. Hoop earrings never go out of style. This pair works beautifully with everything from jeans to a cocktail dress. This beautiful Rope Ring will make an eye-catching addition to your jewelry collection. This beautiful piece of jewelry is the ideal choice to commemorate a special gift. Select a ring size that provides a comfortable fit for all-day wear. Give a beautiful gift that will last for decades. This beautiful Double Opal Ring will make an eye-catching addition to your jewelry collection. This beautiful piece of jewelry is the ideal choice to commemorate a special birthday. Select a ring size that provides a comfortable fit for all-day wear. A stylish substitute for a diamond, the clear opal stone gives off a stunning shine. 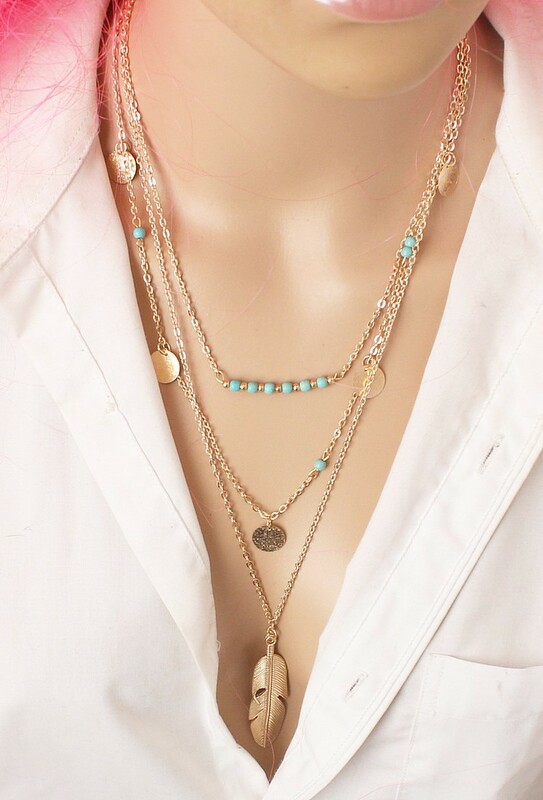 Worn with business attire or during a casual outing with friends, this eye-catching women's Dagger Lariat Necklace will compliment your unique style. For an extra special birthday gift. Choose this stunning piece. This handmade piece is unique, creative and constructed from quality materials. Light and stylish, the material plated finish gives off a radiant shine. This Dagger Lariat Necklace can be purchased in silver, gold or rose gold. Let the simple elegance of this Greta Ring complement your special outfits and enhance your everyday wear. Make it an gift to remember with help from this popular jewelry item. This 14k gold filled Greta Ring provides reliable durability with an attractive druzy stone. This delicate ring comes in sizes 5-9 and is a comfortable addition to your jewelry collection. Personalized your outfit to let your own style show through with this attractive turquoise beaded necklace. 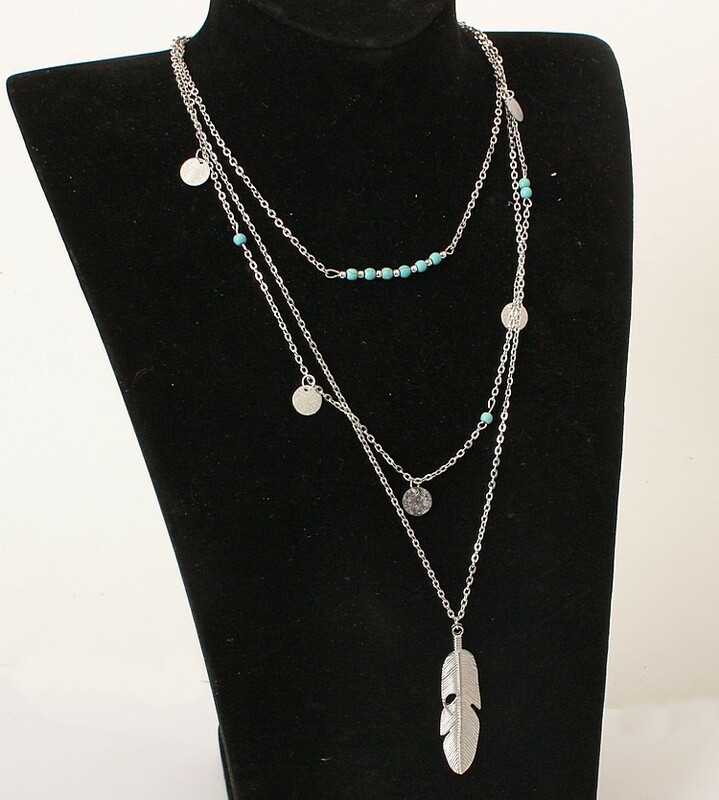 This necklace will elongate your neck for a more graceful look. Make it a memorable birthday with this one-of-a-kind jewelry item. 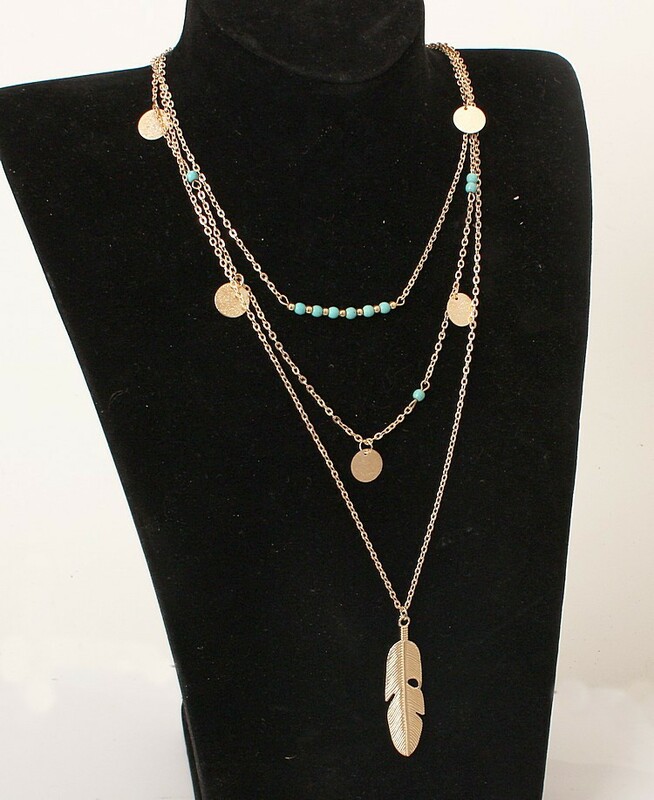 Available in gold or silver; the turquoise beads add fun and energy to the piece. The versatile design effortlessly transitions from day to night. 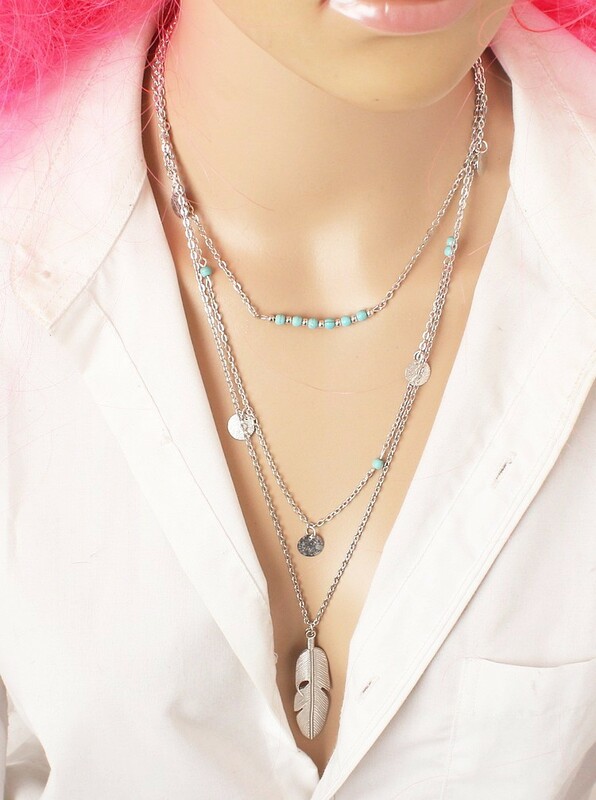 Pair this beautiful women's crystal broken heart necklaces with your favorite outfit for a polished look you'll love. The material allows for more intricate, eye-catching design details. The dazzling heart shape will catch the light and draw the eye to this stone. The lightweight crystal bead design is comfortable to wear daily. When it comes to a gift, you can never go wrong with a crystal broken heart necklace. This elegant Butterfly Pendent Anklet adds an element of sophistication to both day and evening looks. This handmade piece is unique, creative and constructed from quality materials. This delightful piece is just the right choice to commemorate any women’s birthday. This trendy design anklet can be paired with a wide range of outfits. Estimated Production Time: All orders ship within 2-3 weeks. Elegant and eye-catching, these stunning earrings for women are an effortless complement for a wide variety of colors. The unique blush hue of this rose gold filled material is created by adding copper to gold. You can also select sterling silver which provides the brilliant shine of silver. Great for a night out, these stylish dangle earrings sway as you walk. Ideal for everyday wear, 14 karat gold filled is strong and offers a soft, eye-pleasing tone. Bring a little fun to your everyday jewelry accessories with a pair of beautiful and stylish Triangle Stud Earrings. Perfect for everyday earrings, screw backs keep this pair from slipping off when you're on the move. This pair of simple stud earrings works beautifully with most outfits and stays comfortable out on the dance floor.